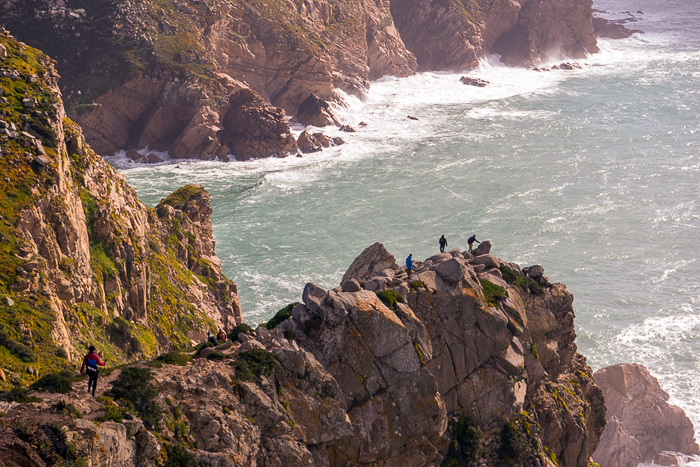 Over the course of our 91 days in Lisbon, we ate out a lot. Probably way too much, if our pudgy post-Lisbon profiles were anything to judge by. But when the restaurants are this cheap, the food this good, and the supermarkets this crappy (ahem, Pingo Doce), what are we supposed to do? Cook carrots at home? Or go to our favorite tasca and order the full-size portion of beef, and a soup, and … I know we shouldn’t, but that dessert looks too delicious to pass up. 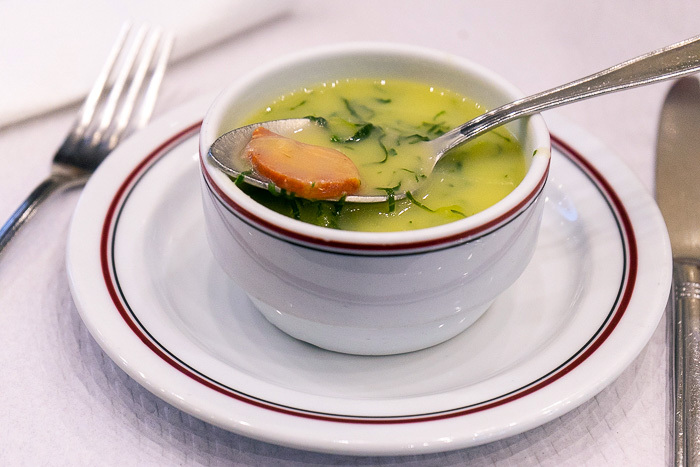 The dish we ate more often than any other was caldo verde, or green soup. Not because it was the best, but because it was almost always on the menu, and generally costs about €1,50 per bowl. There doesn’t seem to be any rule about what can be thrown into this soup: we’ve seen carrots, potatoes, collard greens, garlic, onions and occasionally bits of ham floating around. Especially during the cold winter months, we always looked forward to our steaming bowl of green soup. 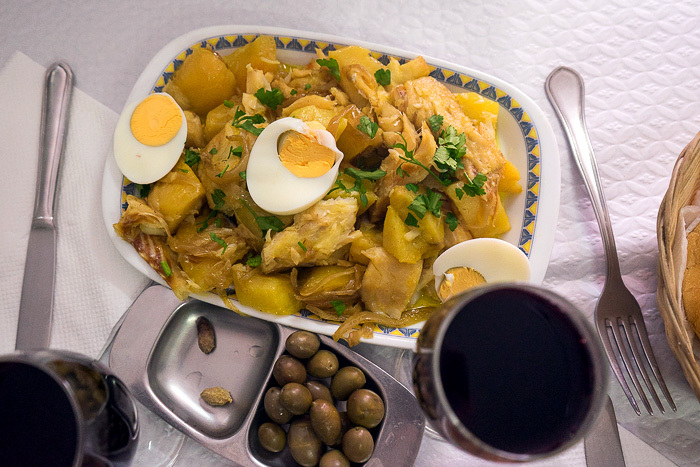 The prevalence of codfish, or bacalhao, in the Portuguese diet is astonishing, considering that it isn’t found anywhere near the coasts of Portugal. Wikipedia claims that over 1000 Portuguese recipes involve cod. We’ve had it roasted and drizzled with hot garlic-infused oil, chopped and put into soup, and shredded and shaped into croquettes, and it was always delicious. 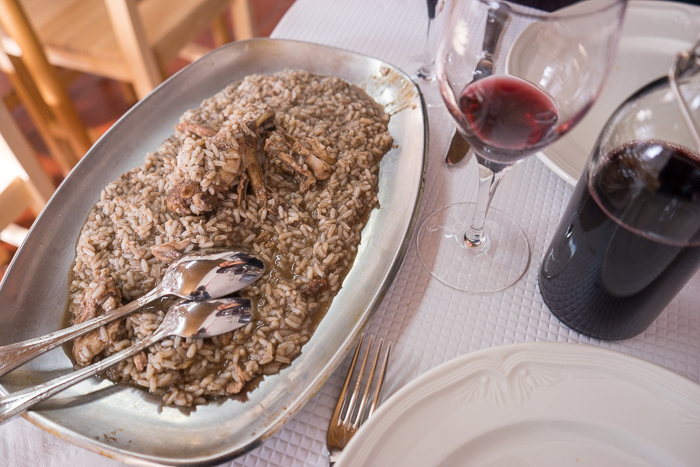 A soupy, dark brown rice dish with chicken, cabidela immediately became one of our favorites, after a waitress at a tasca in Belém made the suggestion. What makes this dish special is its tangy flavor, provided by a healthy amount of vinegar. 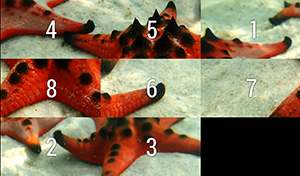 The brown color comes from the fact that the chicken (or rabbit) is cooked in its own blood. Yum. 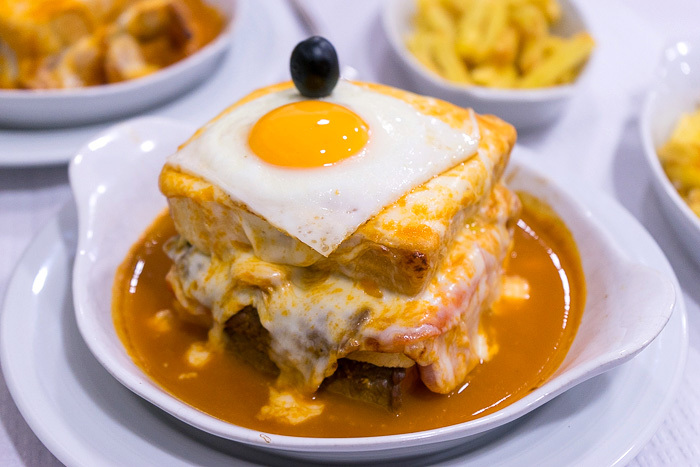 The legend of the ridiculous Francesinha is that a Portuguese traveler discovered the croque monsieur on a visit to Paris, but didn’t write down the ingredients. He returned home, and described the dish to his countrymen from memory, thus inventing the Francesinha: a sandwich which resembles a croque monsieur the way Frankenstein resembles a human. It’s made with bread, ham, steak, sausages and a diabolical amount of cheese, then covered in a red or brown tomato-based beer sauce. No two francesinhas are the same, as the sauces are often kept secret, but with such hearty ingredients, it’s guaranteed to be delicious. Though the dish originates in Porto, you can easily find it in Lisbon. Francesinhas were delicious, but not something we could eat every day. Luckily, Lisbon had another type of sandwich designed for more frequent consumption. 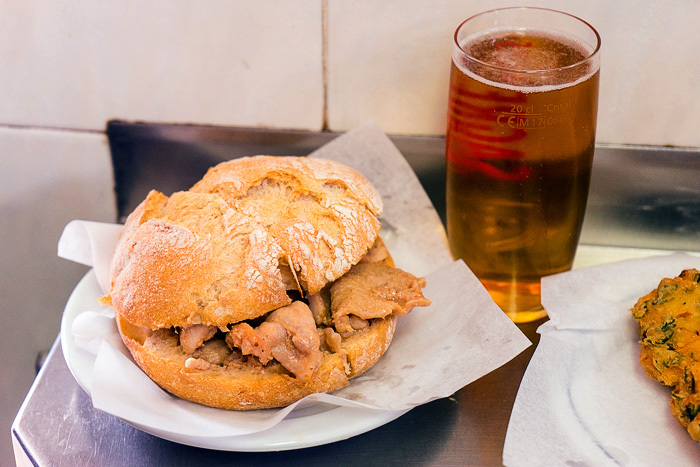 Bifanas are simple sandwiches of pork slices, which have been cooked for hours (or days?) in big, steaming pots of broth. You can put mustard on them, if you choose, or just devour them without condiments. Cheap, quick, healthy and good. Well… actually, I’m not so sure about the “healthy” part. 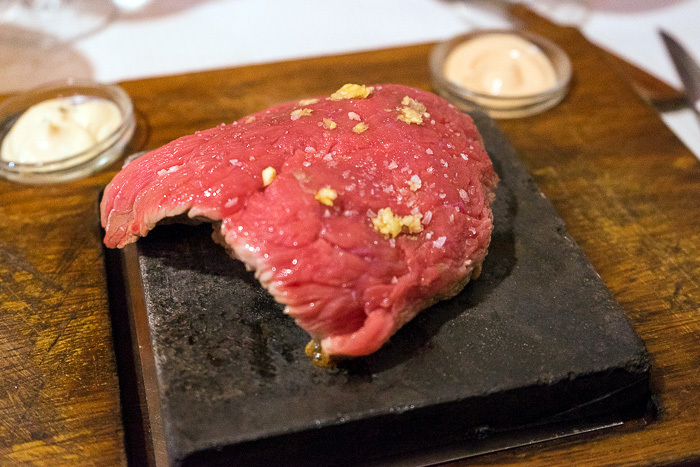 Naco na pedra means steak on the stone, and a description of this meal can stop right there. They bring out an extremely hot stone with a massive cut of steak sizzling on top. You can cook the steak for as long or as little as you like, so if it’s overdone, you have nobody to blame but yourself. We ordered naco na pedra a few times, but most enjoyed it at Chiado’s Restaurante Cabaças, where the steaks are thick, the wine is cheap and the atmosphere is riotous. Our friend from Valencia was visiting, and gave me the strangest look when I ordered the octopus, or polvo. I was forgetting that polvo is Spanish for “dust”. “For me, the grilled dust, please. Yes, just the dust, I’m on a diet.” (While the languages are similar, it can be dangerous to forget that there are differences!) 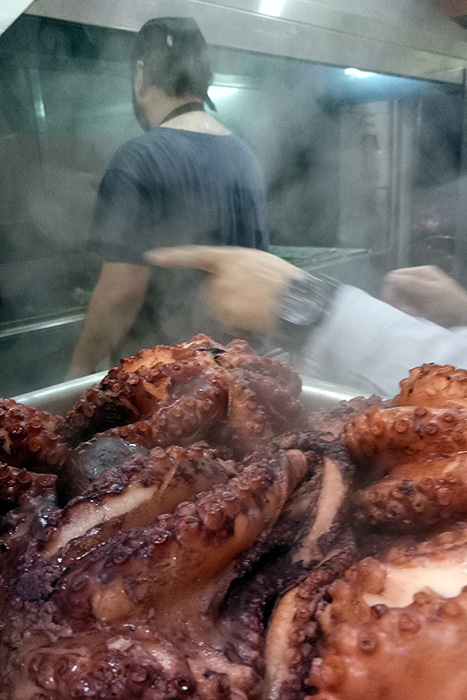 Octopus is a major player in Portuguese cuisine, and comes served in all manner of ways. We had great octopus salads, and soups. But my favorite is the classic: grilled and drizzled in oil. 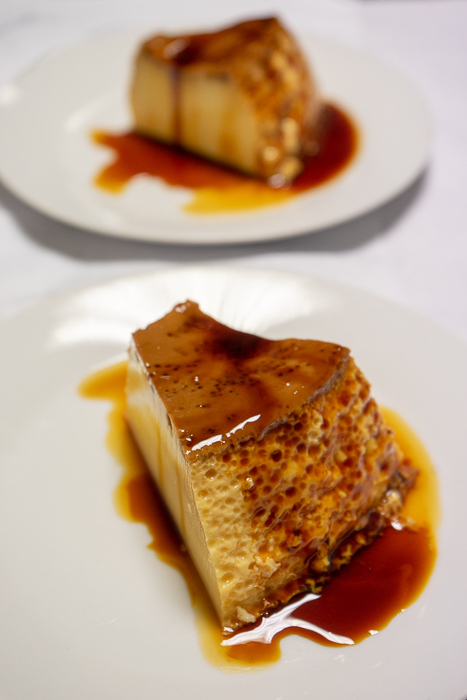 A towering white flan baked until golden on top, and served with caramel sauce, pudim molotov was our favorite dessert. The slices are massive in size, but because the flan is so fluffy, made purely of sugar and beaten egg whites, it’s surprisingly light and goes down easy. I’m not sure where the name comes from, but if someone wants to light one on fire, and throw it through my window, it’s a mess I will be happy to lick up. It’d be remiss to leave unmentioned Lisbon’s mouthwatering variety of foreign restaurants, not just “inspired by” the cuisines of far-off lands, but actually run by people from those lands. 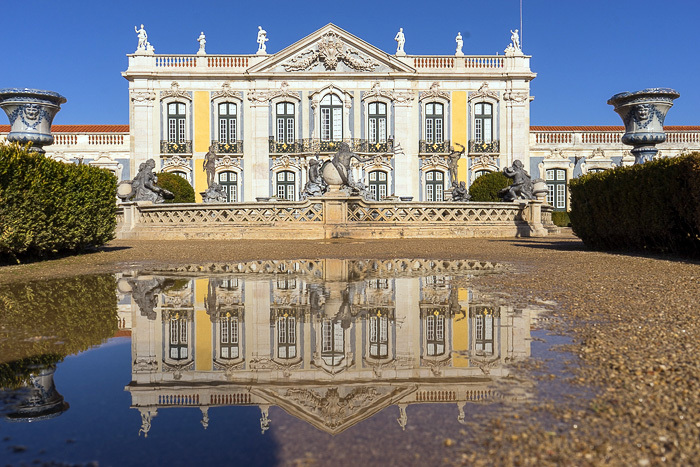 Portugal, of course, had a lot of overseas colonies, and it was natural that many people from abroad would emigrate to the capital, bringing their cultures with them. 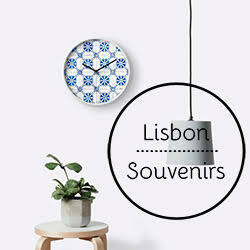 As a result, Lisbon enjoys a wonderfully multi-ethnic vibe, most deliciously appreciated in its cuisine. If you’ve never tried Angolan, Mozambican, Nepalese, or Goan food, Lisbon might just be the place to do so.